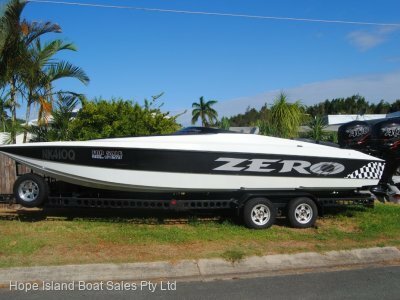 - Serviced February 2018 Water Pump, Risers, Replace Bilge Pump, Toilet, Exhaust Bellows and Usual MerCruiser Service Items. - Low Hours, Only 210 Hours. 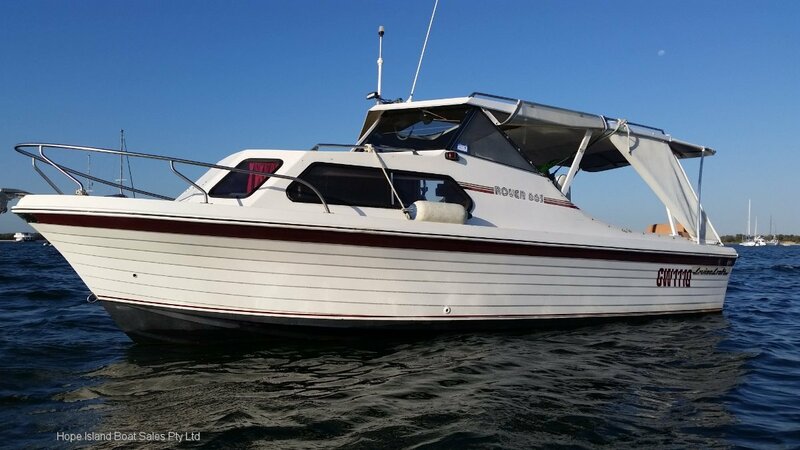 I often sit back and wonder when Cruise Craft built these 663 Rovers if they really knew the cult following these boats would have as time goes on. Back then the usual inclusions are considered high end options today, take the fibreglass hard top. That being said, Stereo and Flatscreen TV have been updated to todays spec. 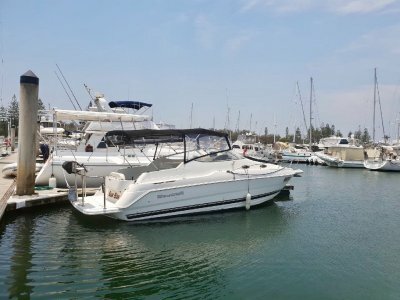 This boat presents very well, the covers are in good condition, the relatively young 220hp Multi Point Injected MerCruiser has low hours and propels this vessel without any stress or issue. 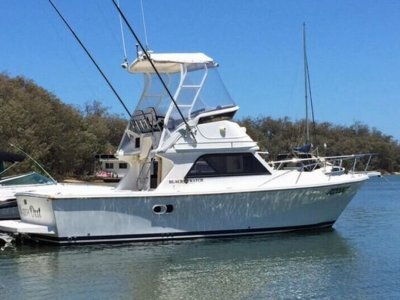 Galley, New Marine Toilet, sleeping for 4, and priced to not break the budget. 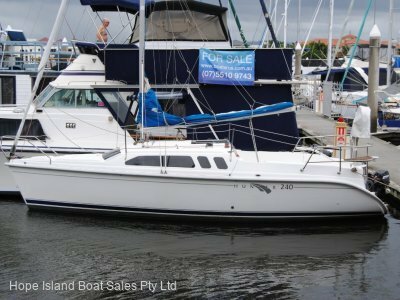 Please note there is no trailer with this vessel, but Hope Island Boat Sales can source a suitable trailer for a added cost. Located behind private residence and as such will require a appoint to inspect.